It is really nice when we as dog owners or any pet owners, actually can make some of the chores associated with them automatic. It isn't to get out of care duties but to make life easier for the working "pet parent" and allow you the time to spend with your fury friend in a calmer manner. 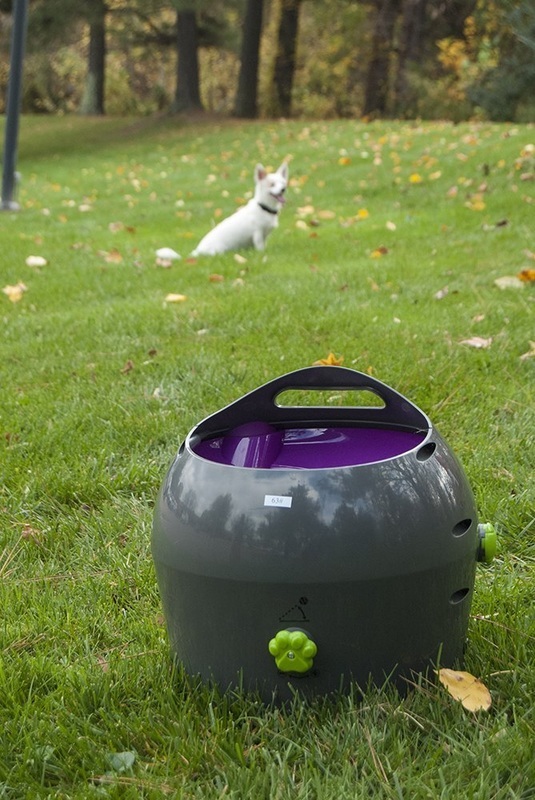 ​There are automatic dog feeders that work for all breeds and some that can be monitored by your cell phone, and even indoor toilets for dogs so they are not uncomfortable or if you have had a long day or under stress and present you with an "accident" if the day was too long. ​Nothing wrong with making life a bit easier on you and your pet so that when you get home you can spend quality time. 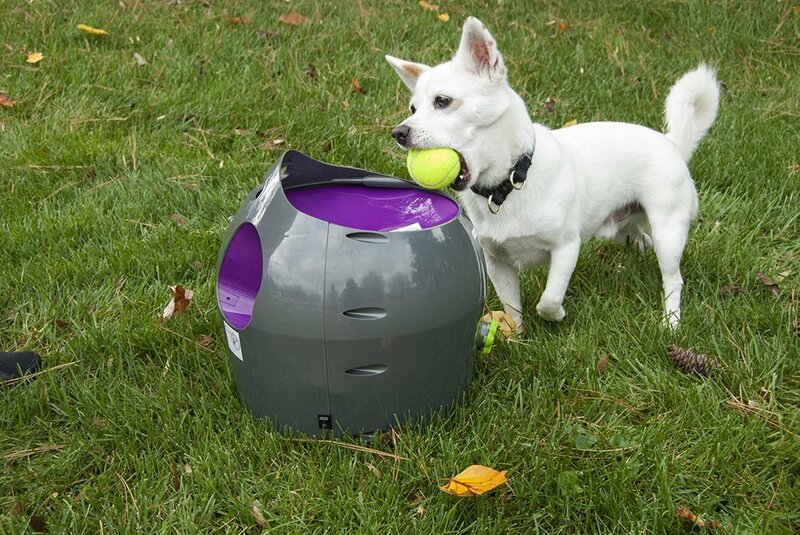 That is why I really love the idea of this automatic ball thrower for dogs. ​Maybe you can't walk or run as far as Fido would like you to? Or maybe you want him to get lots of exercise while you are at work? ​This particular unit can run on electricity or batteries, so you can take it anywhere. If your dog has a doggy door and access to a safe fenced yard, you could leave this with him all day with no worries once he figures out how to reload the unit. It is nice to walk a slightly tired dog after work rather than a wired dog. ​This means less pulling on the leash and more quality time with your pet. I used to throw a Frisbee for my dog before I even tried to go for a walk, but it always ended up in the neighbours yard. This ball thrower can be adjusted from 8 to 30 feet. ​As you can see in the picture, they can be trained to put the balls back in the automatic ball thrower for continuous use. But if you worry they may over do it, don't, it takes an automatic break. Make sure they have access to water and shade and they will have a lot of exercise and fun. ​When a dog is cooped up all day, it can be difficult to take them for a leisurely walk after work as they really just want to run and burn off steam which is hard on you and your arm. You could be with them while they catch the balls when you first get home and then take them for a nice walk once they are tired instead of wired! ​Automating some of the chores, can make life easier for the pet parent that works longs days.